COLUMBUS (WCMH) -- Canine Companions for Independence is an organization dedicated to enhancing lives by providing highly trained assistance dogs. These dogs open up incredible opportunities for their human partners. People like Michael Jarvis who in 2009 during sophomore year of college was in a life changing car accident. The accident resulted in months of hospitalization and rehabilitation. Jarvis suffered a spinal cord injury and was paralyzed but was determined to get back to living life that the fullest. "Life is 10 percent what happens to you and 90 percent how you react to it," said Jarvis. "Everyone's else's life is continuing to progress, and I guess that's what I'm trying to do as well and that's what Naomi allows me to do." With the help of his Canine Companion Naomi Jarvis is able to limit the amount of nurses and aides that he depends on. "You want to be able to think that you can rely on yourself and help yourself, and while that's probably limited a bit for me compared to the average person Naomi helps make up for that." 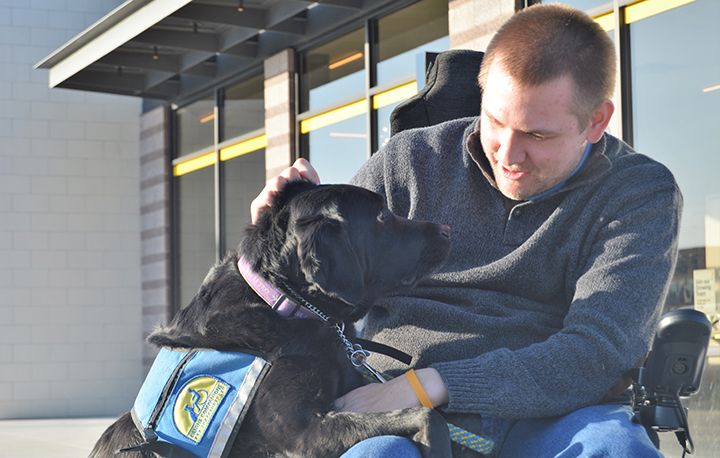 To learn more about canine companions for independence visit Click here to see the original story.